Obvioulsy an obsession for Marcelle. 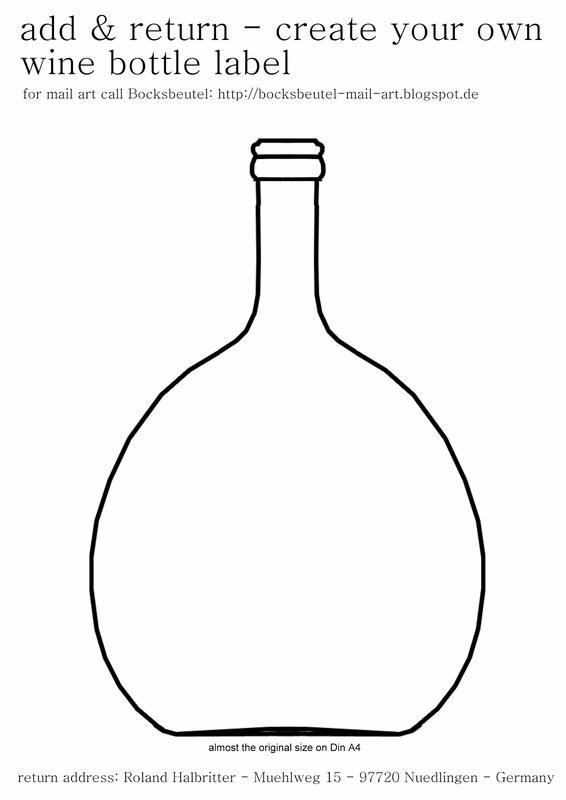 Bruno used the add & return sheet for his work and called "Vin Santo". Two more works from Heinz, a collage and one in acryl. Drawing, collage and rubberstamp om artcard. A charcoal drawing, still life with Bocksbeutel inside Bocksbeutel. Fraenz sent this new outfit for a Bocksbeutel. Nicole recyled an image - now picnic with Bocksbeutel. Mister Bock & Mister Beutel playing music and billards. and printed notes on it and collaged butterflies. here the advertising for it. maybe also the phonetic wordpun of Bug = Bock? Another bug in a bottle (?) a phonetic bugs beutel? An acryl painting with collage from Heinz. to the card and did some rubberstamps to it. one more whimsical collage from Heinz, with Che Guevara and Fidel Castro.